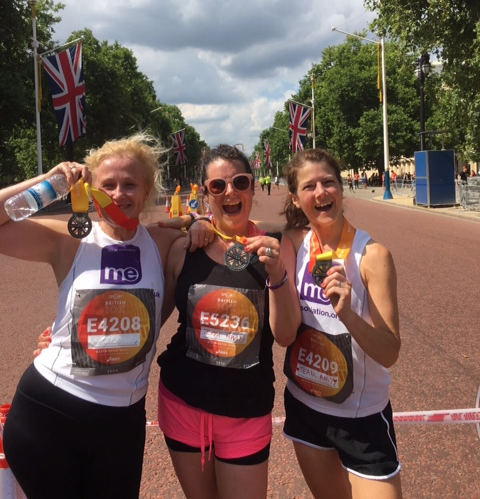 There are many ways that you can challenge yourself to fundraise for the ME Association and have some fun at the same time. For those champions who don’t have M.E., and want to raise money on behalf someone that does, or who have sufficiently recovered from the illness, it’s often the unusual physical challenges that provide the incentive, catch the imagination, and prove attractive to potential sponsors. And for those who cannot, or should not, be pushing themselves physically to fundraise, we have a host of other creative ideas to get you started. 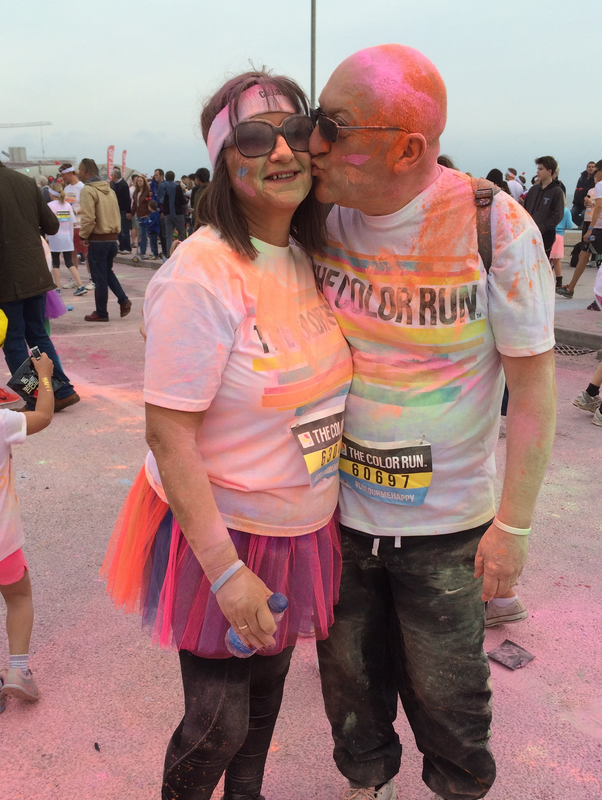 Our magnificent fundraisers have pushed themselves to the limit, on behalf of friends and family who couldn’t. They know that simply living with M.E. can be like trying to run a marathon without training. And many of them wanted to find a challenge that mirrored that feeling, in the strenuous efforts they go to in raising vital income to support the work of the ME Association. This disease affects everyone differently. Some may be able to manage a walk or even a run, but others should not. If you have M.E. 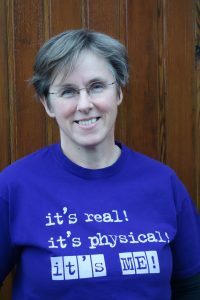 and are considering a physical challenge, do please contact Helen Hyland to discuss how best to undertake your challenge safely. For those champions who don’t have M.E. or who have sufficiently recovered from the illness, it’s often the unusual challenges that catch the imagination and prove attractive to potential sponsors. 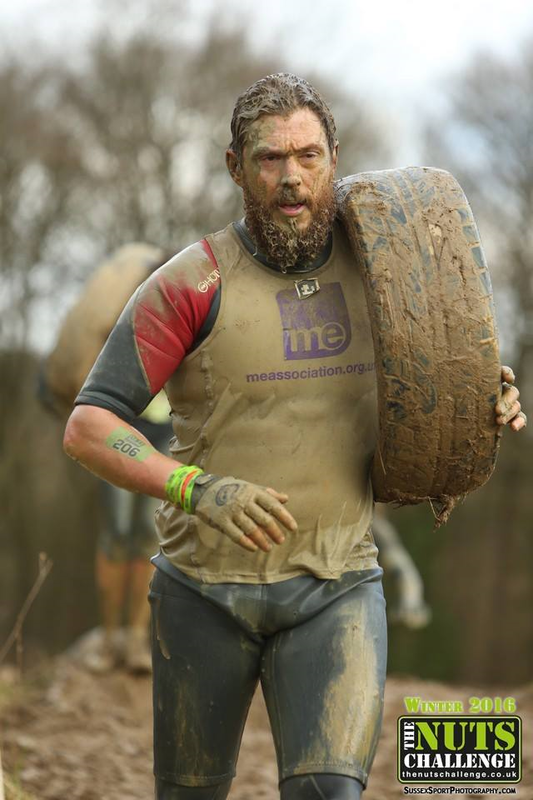 Drew took on eleven, gruelling physical challenges in the course of a year, to raise awareness of M.E. and funds the ME Association, after his Mum was diagnosed with the illness. “Her condition changes day to day. Maybe she’ll be fine one day and will be able to do a little shopping – but the next, she’ll fall over for no reason other than her legs don’t work or she will have to go back to bed because she is so tired she is unable to string a sentence.” Photograph kindly supplied by Sussex Sports Photography. 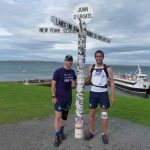 When we last heard from him, Tom was waiting to hear if he got into the Guinness Book of Records for being the youngest person ever to run the distance between Land’s End and John O’Groats in just 31 days. That’s the equivalent of 38 marathons back to back. 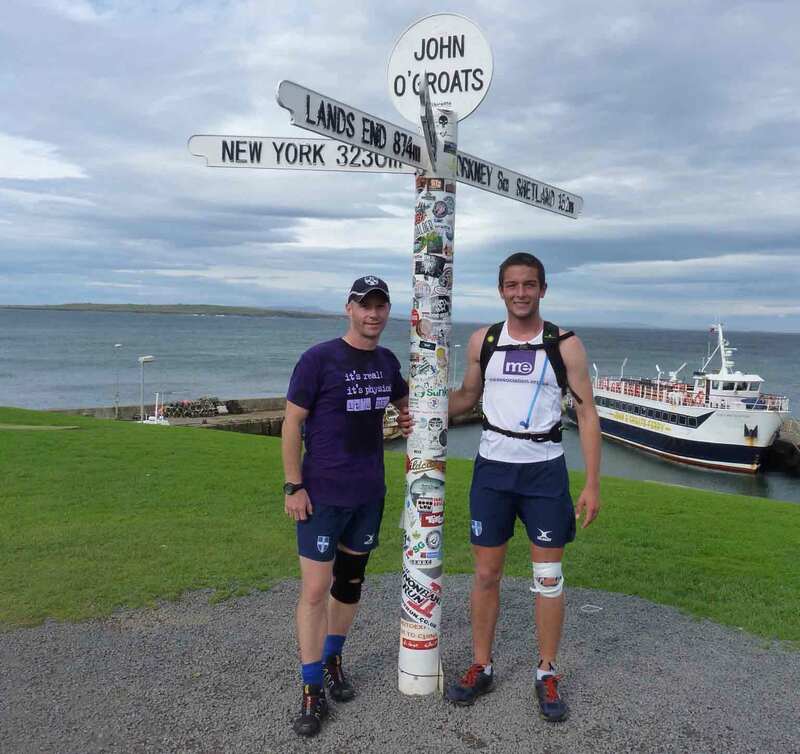 Tom is pictured here with his former teacher – Adam – whose passion to support the ME Association inspired his run. 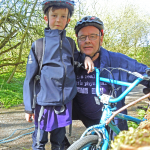 Nine year old Miller (and Granda James) cycled more than sixty miles – between Mintlaw to Dyce and back – in their Big Cycle Challenge, because Miller’s grandmother has M.E. 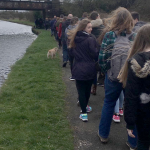 Rosie’s church – Maghull Baptist Church – organised their own sponsored, Walk for M.E. 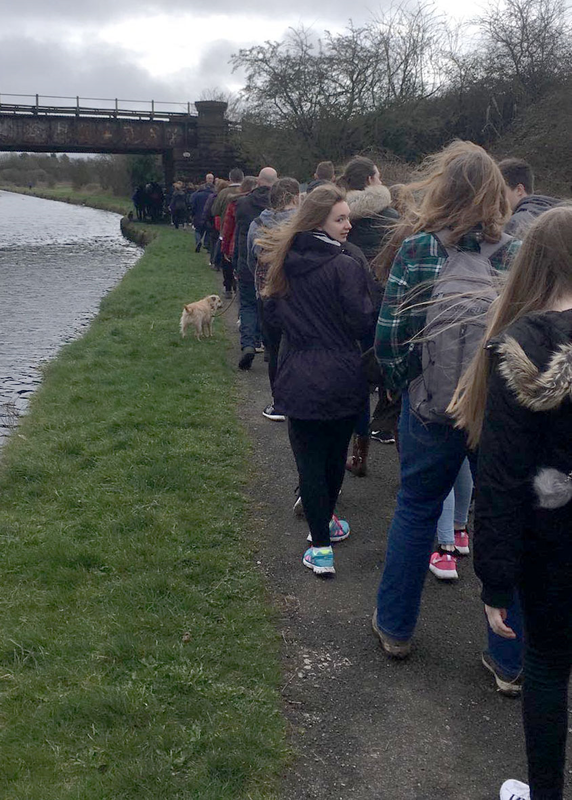 They walked, because Rosie, couldn’t. 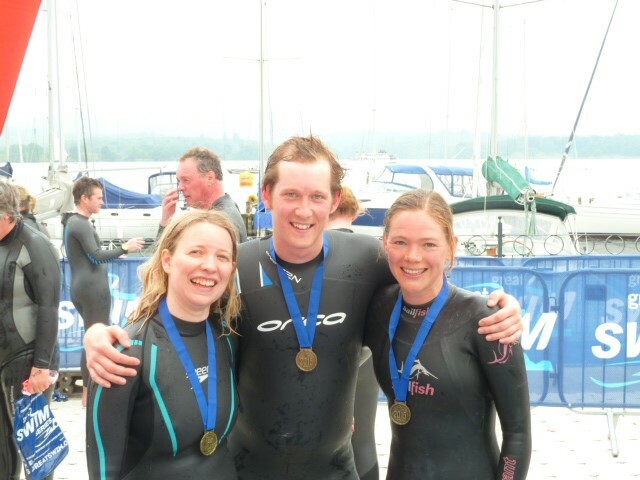 Charlotte, Lee, and Ayliffe swam a whole mile in Lake Windermere in the Great North Swim, raising funds for the MEA Ramsay Research Fund. 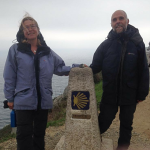 Sophie Breese set out on the walk of a lifetime. A pilgrimage no less. 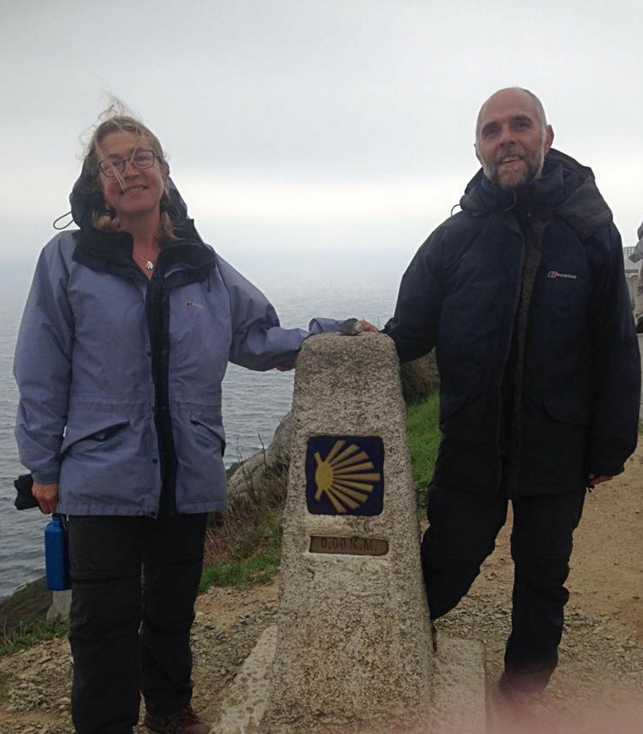 She walked the Camino de Santiago (1376 km) in 65 days, partly in celebration of her recovery from M.E., and smashed her target – raising over £5,000 for the ME Association. 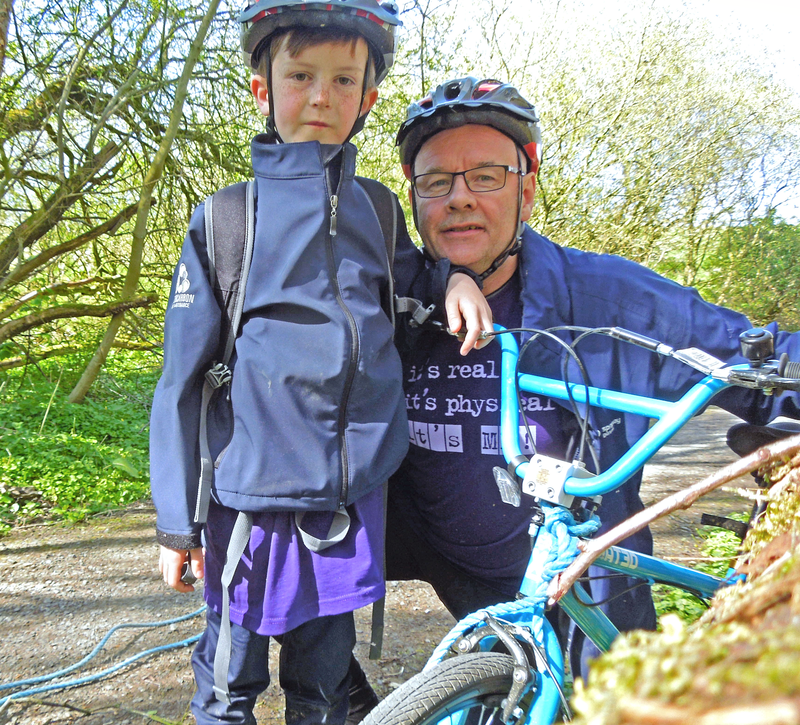 These are just some of the more unusual challenges that our intrepid fundraisers have devised. Others have challenged themselves simply to get fit enough to run in local 5k, 10k, half marathon, or full marathon, in their own areas. Most people find their own challenge, but if you need help, we’ll work with you to find the challenge to suit your own aspirations and abilities. You don’t have to push yourself physically to fundraise. 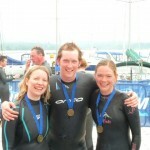 There are many other ways that you can challenge yourself to fundraise for the ME Association. 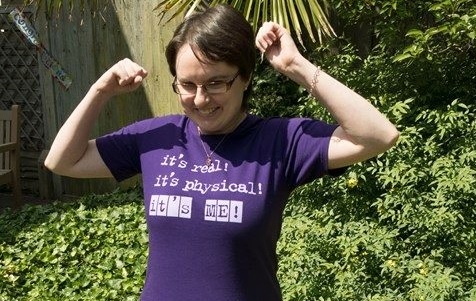 Many of our fundraisers have M.E. and it hasn’t stopped them from getting involved. They have simply needed to be creative and work within the boundaries of their illness. 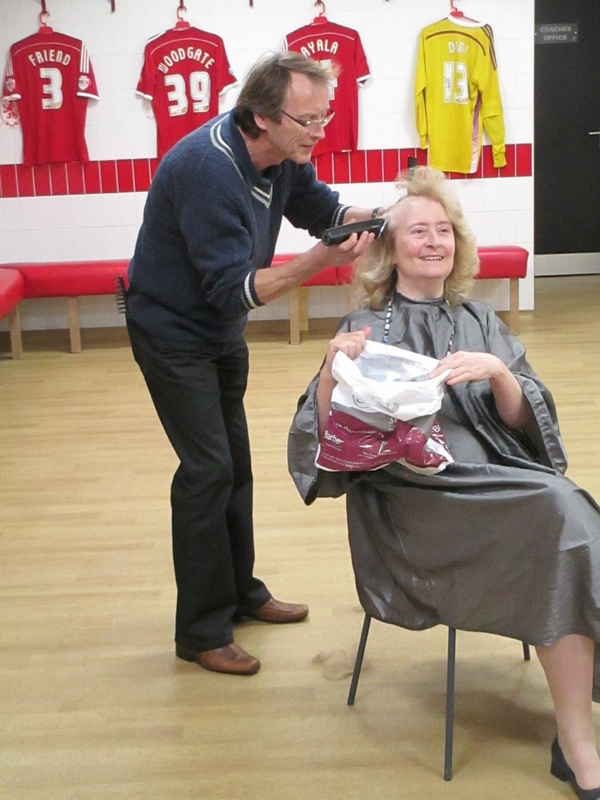 Barbara began with a headshave in the grounds of Riverside Stadium – the home of Middlesbrough F.C. 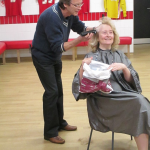 – but has since gone on to raise over £24,000 and hopes to do even more. 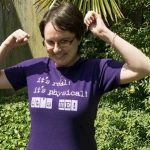 All to help fund desperately needed research into M.E. via The MEA Ramsay Research Fund. 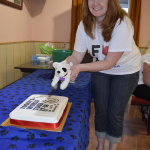 Alison managed to complete 250,000 steps (one step for every person in the UK living with M.E.) – taking over a year to achieve something that would take averagely fit people just a month to complete. Amy decided to do ‘30 before 30’. 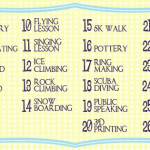 That’s 30 brand new activities, things that she’d never done before, over the course of the year leading up to her 30 birthday. 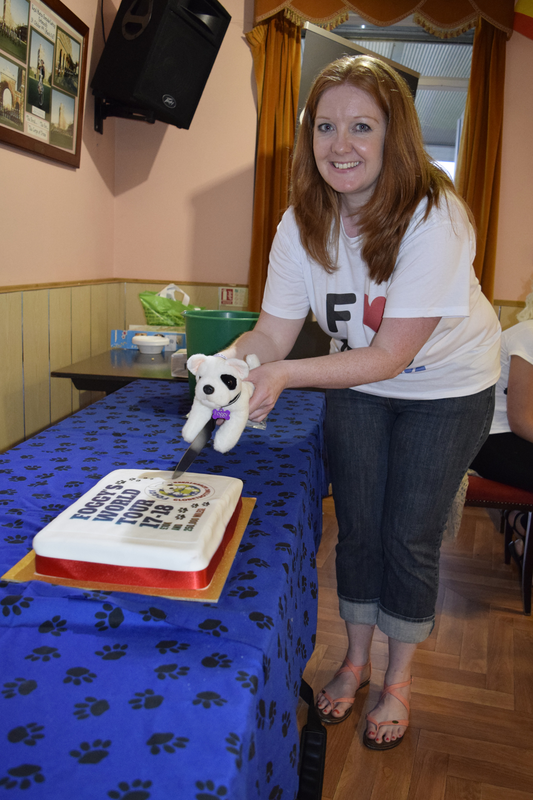 Foggy is a cute white-and-black soft toy dog, who jets off around the world, seeing places that his ‘owner’ Sally can only dream of visiting. 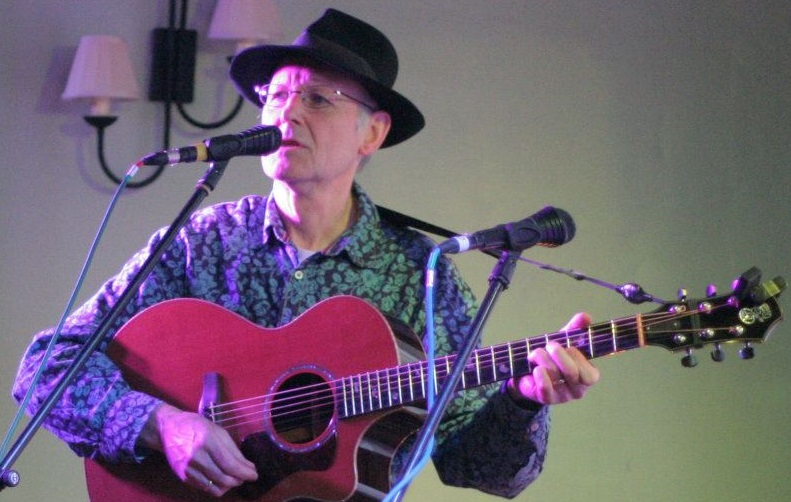 He’s helping raise funds for biomedical research into M.E. via the MEA Ramsay Research Fund. Andy sings and writes songs. 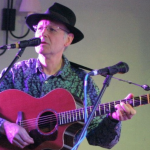 He donates the proceeds of his singing – whether performing solo or with his band – at venues around North Wales, and from the sales of his albums, including the song he wrote about M.E. called ‘Ball with no Bounce’. 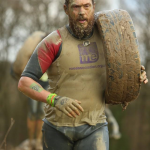 If you choose to fundraise for a challenge, event or activity, please consider registering it on JustGiving. It’s a convenient platform that allows you to easily share it with family, friends, and the wider community via email or social media for example. You can easily monitor how much money you are raising – can keep everyone informed of your progress – and the funds that you receive will be automatically donated to the ME Association. 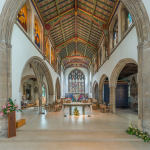 Just click the button above for more information, and please let Helen Hyland our fundraising manager know when you begin fundraising. 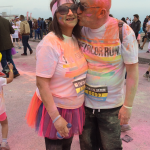 She has a wealth of fundraising experience and can lend support and advice if you need it. Here to help you – every step of the way! We’ll help you turn your idea into reality – whatever it is you want to do – and we can give you the support you need to get started and help promote your event, if you would like us to do so. 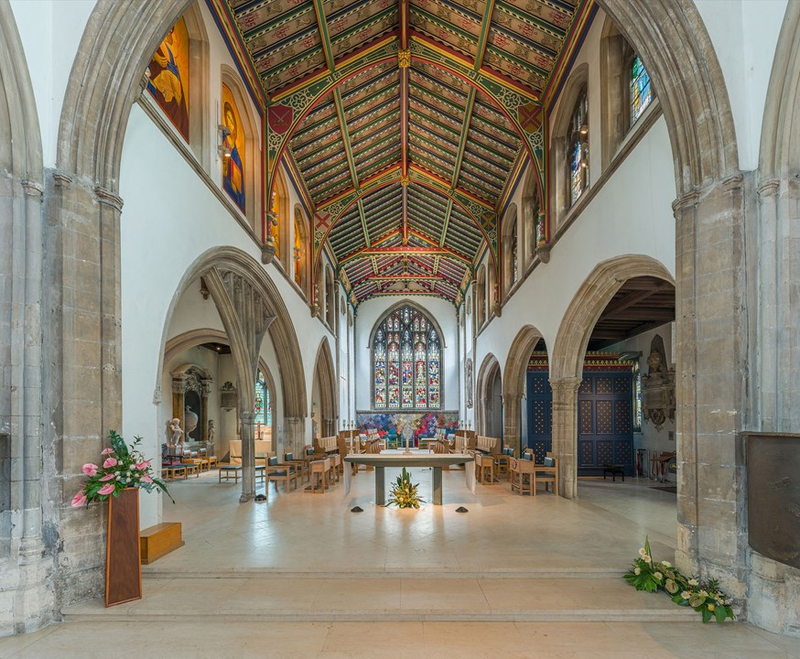 Whatever you decide, if you choose to raise funds for the ME Association, be sure to take plenty of photographs – we’d love to be able to report your event on our website, social media, and in our members magazine, ME Essential. 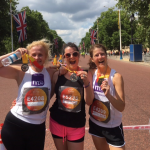 Helen Hyland, our Fundraising Manager, is here to help you every step of the way, and can also provide you with a ME Association fundraising pack if you require one. You can contact Helen by email, or by phone (01280 838964).